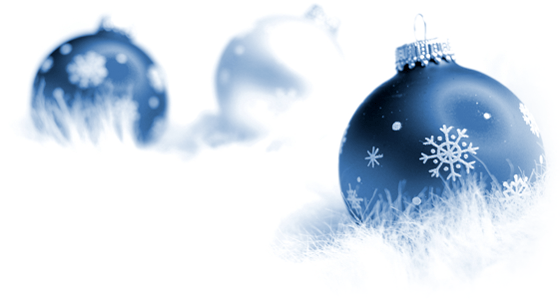 I want to wish all of TUMY | TECH’s friends, family, customers, and partners a wonderful holiday season. This was a big year for TUMY | TECH as we began several new key relationships in the Identity and Access Management space. In 2015 we continued to work with great customers in a variety of sectors such as Education (K-12), Energy and Software Development/Engineering. While we continue with laser focus on implementing Identity and Access Management solutions we have began investing in other key areas such as DevOps and MicroServices. We have some great things in store for 2016 and look forward to sharing these with you as soon as they are ready. Our success is due to having amazing customers and partners whose trust and contributions are key! We wish you the best for the New Year and look forward to working with you as we ring in the new year! Copyright (C) 2015 Tumy Technology, Inc All rights reserved. You are receiving this letter because you opted in at our website. This is really interesting root cause analysis and definitely worth reading. To try and consolidate and simplify life somewhat we have migrated over to a new blog site. The new site combines our IAM blog and corporate website. If you had subscribed to this site as a blog follower, we have already moved your subscription over to the new site and you should continue to get updates. I hope that you have enjoyed these blog posts, as much as we have enjoyed sharing them, and will continue to follow and interact with us over on the new site. A client of mine has asked me to assist them in finding a full-time Senior OpenAM Engineer. They are a startup, based in Northern, Virginia. They are working on some pretty cool initiatives with OAUTH2 and SAML and need an experienced engineer to lead this effort. If you are interested in this please feel free to reach out to me and I’ll put you in touch. My son (10) has been asking about VPNs a lot lately. Which I thought was because of all of the news lately about the NSA. I ended up showing him tunnel bear, which he quickly installed on his laptop and iPhone. I complimented my son for his interest in security and gave a wink about sticking it to “the man”. A few days later my wife and I were chatting about letting the kids have more access to social media and she said, “well I still have the kids convinced that you can see everything they do on our home network”. A lightbulb immediately went on over my head. … Apparently I am “the man”. I am offering an introductory special to ForgeRock’s Identity (I3) Stack. I am calling this the “Sequester Special”. The Federales are cutting back budgets and furloughing the Air Traffic controllers (cough … why not the TSA agents at the airport instead) but this is your chance to capitalize on that. You get to try out the ForgeRock Open Identity Stack (**ForgeRock support license required for binaries used in a production environment**) and you get a reduced rate on professional services … to ease those sequester blues. Tumy-Tech’s Professional Services team provides services to assist you in successfully and rapidly implementing ForgeRock’s Open Identity (I3) Stack into your environment. The end result? A working implementation of ForgeRock’s Open Identity Stack designed to introduce you to ForgeRock’s products as well as demonstrate several common configurations requested by your many customers. Customer provided servers must meet ForgeRock product specifications. Customer must have an existing Google Apps for Business (or Education) account. Customer must have an existing Salesforce.com account (or developer.force.com). Customer installation environment must have internet connection. Use of ForgeRock binaries, in production, require a license and subscription from ForgeRock. Each product will be installed on up to one server in customer’s environment. Tumy-Tech will use the most up-to-date, stable build publicly available. OpenIDM will be configured to reconcile users from one existing LDAP (AD or LDAP) user store with up to 20 attributes mapped. I am wrapping a crazy busy week. Probably one of my most technically in-depth week in a really long time. So what kept me busy? Deep-diving into OpenAM’s Entitlement’s engine, learning about it’s REST interfaces and how to extend OpenAM to leverage custom service types. I’ll explain later since I know your thinking, “Tumy … dude, what the heck is a service type?”. Entitlements are policies or rules that state what you (or any user) can and can’t do. Sounds simple right? In Information Security entitlements usually define what resources a user can access, how they can access it, when they can access it and so on and so on. A resource can be a web url, a banking transaction, a database record, or frankly anything you might want to protect. Typically entitlements are expressed through XACML http://en.wikipedia.org/wiki/XACML. Entitlements are used in access control settings and used to define fine-grained authorization rules. This is starting to become too much of a Entitlements 101 class so let me just jump into the hand’s on stuff. Ok, Forgerock … in their OpenAM product they have an Entitlements engine which is essentially a Policy Management Point and a Policy Decision Point (Google is your friend if you don’t know what those things are). Out of the box OpenAM supports a few different “service types” which are essentially a set of resources and their associated actions. For example a web url would potentially have the actions of “GET” and “POST”. There are a couple of other service types too (a banking example and a few others). But what happens when our resource is not a web URL and we want to have actions besides “GET” or “POST”. What we if we wanted to have a resources defined as database table names and we wanted to have actions such as “READ”, “UPDATE”, “DELETE”. (Update: Starting in OpenAM Version 11.2 some of these additional actions are available out of the box) We want to be able to create rules that we can either allow a user to read information from a specific table or deny their ability to read from a certain table. Ok, hopefully you get the idea … if you don’t email me and we can talk about it. OpenAM has a great set of command line tools that you can use to interface with the product, these tools have also been “web” enabled on a jsp page which is accessible through the admin console (it’s disabled by default though). Do a quick search for “create-appl-type” and you then click on it. This creates the set of actions that will be available for your resources of this type. Save that and then you need to create the Custom Service Type. This is created by modifying an XML file and then importing that file into a form that is similar to the one we just saw. The service type provides a little more detail on the actions and sets the True/False values that will be displayed in the policy manager. In the above XML file, you should notice there are several spots where I have provided the name of the service “DatabaseTablePolicyService” and then the actions and their True/False values. In the ssoadm.jsp search for “create-svc” and then copy and paste this file into that form. Notice in the above file, that I add the application name and it matches the name we have used in the other configurations. I added the actions again and finally I actually define a resource. I personally like to describe the resource type in a URL style … I can use “table://” as my resource in the policy and that will help remind me later what type of resource that is. You don’t have to prefix your resources in your policy with that … it seems to be optional. At this point you can jump back over to the OpenAM Admin console and create a policy based on this resource, as you can see in the following screenshot. So, that’s pretty cool stuff … The entitlements engine is pretty robust, it’s fast and … it has a RESTful interface. I am going to do a deep-dive blog post on the RESTful services at some point but for now let’s just take a look at how you can evaluate an entitlement. You can create a policy that would return attributes, from the user’s identity record, along with this JSON object. There are also RESTful services that will just return an allow or deny, which is great if you don’t need as much information back. So, that was real high level and really basic but I hope that I gave you some ideas for the potential of this engine. Let me know if you have any questions or want to chat about. Also, I am available on a consulting basis to help design or implement this in your environment. There were a bunch of people at ForgeRock that help me out at various points through this. You guys know who you are … I’ll leave your names out so that you don’t get bombarded with requests. Also, there were a few non-ForgeRock guys that went through this last year and gave me some pointers along the way. Thanks! And finally … to the guys that did this first at Sun. Thanks for building this stuff and documenting it. I am thankful that those web pages that you created haven’t vanished yet.